LOC:BB#126A(BIA01)/S6. Dell PN: JK1FY, 0JK1FY. Palmrest assembly. 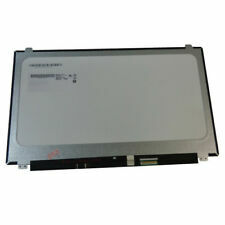 Touchpad Module - GJ46G. Touchpad ribbon cable. The pictures in the ad is to show what's included. -Precision 15 (5510). Part Number: JNK5X. Compatible With: Dell Latitude E5440. Webcam Cable. Manufacturer: DELL. Black LCD Back Cover & Black Front Bezel. LCD Video Ribbon Cable. 14" Screen Display. WXGA LED Screen. Model Number: XY40T. Unit may have chipped corner or dent. Trending at $35.93eBay determines this price through a machine learned model of the product's sale prices within the last 90 days. Dell Precision M6600 Bottom Base. With Daughter Board. Normal wear on a used computer can be considered minor cover scratches, minor wear to the keyboard, minor screen scratches/rub marks that have no impact on the picture, etc. The photos and the actual item may have 5-10% difference. YES, THIS ONE! A&N Technology Solution . Grade B: Used, Parts have several blemishes, nothing major. Grade A: Used, Part is like new, will have one or two minor blemishes. Our Grading System. 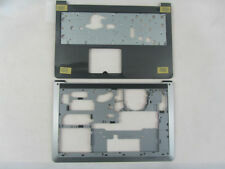 Genuine Dell Inspiron 15 5000 Series 5555 5558 15.6" HD Touch Screen LCD Display Complete Top Assembly. 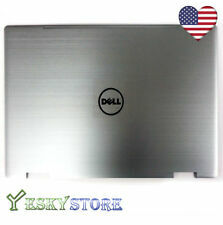 - Dell Inspiron 15 5558. - Dell Inspiron 15 5555. Manufacturer DELL. This is not a complete Laptop. Compatible Part #'s: 2VM28, 02VM28, NSK-DBB01. Dell Latitude E5410, E5510. There is more than one keyboard for the models listed. This keyboard does not have a pointer or buttons. Laptop Keyboard Skins. 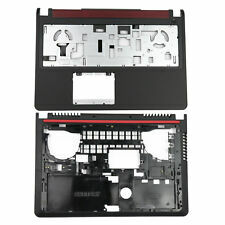 Compatible with DELL Inspiron 14u 5455 5458 5459 3458 14M. Dell Latitude E6520 E6530 E5520 E5520M E5530 LAPTOP. If you laptop uses other colors keyboard. This black one will fit if the color is not the issue for you. gray pointer W8 key. Good quality, good operation. Dell Inspiron 15 (5565 / 5567) 15.6" FHD TouchScreen LCD Complete Assembly P81VP Brand: Dell Part Number: P81VP MPN: 0P81VP, CN-0P81VP, 21VP6, XNHVP Type: LCD Screen Assembly Screen Size: 15.6" Resolution: 1366 X 768 Compatible Product Line: Inspiron Compatible Model: Dell Inspiron 5565 5567 Condition: New This item will be shipped exactly as shown in the pictures. LOC:BB#81(BIG07). The pictures in the ad is to show what's included. 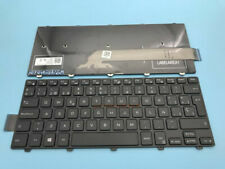 OEM GENUINE Dell Latitude E5450 E7250 E7450 US Backlit Keyboard. Part number:D19TR. 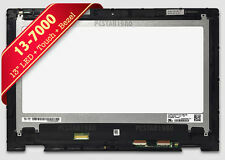 -Latitude E7470 (Dual Pointing Only). -Latitude E5450 (Dual Pointing Only). -Latitude E5470 (Dual Pointing Only). -Latitude 5480 (Dual Pointing Only). Compatible Part #s: KPP2C, 0KPP2C. Inspiron 15 (3551). Inspiron 15 (3541). Inspiron 15 (3542). Inspiron 15 (3543). Inspiron 15 (3552). Inspiron 15 (5551). Inspiron 15 (5555). Dell PN: A131CX. Dell PrecisionM4800 Back Cover Assembly- genuine Dell original 15.6" LCD Back Cover Lid Assembly with hinges and cables, for the Dell PrecisionM4800 laptop / notebook with FHD LCD screen. Model/Part Number: M685J 0M685J. 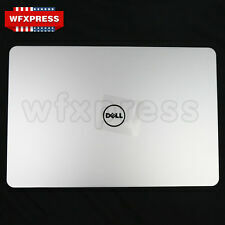 Compatible with: Dell Inspiron 1545, Dell Inspiron 1546. Note: This is the Webcam Port Version. This bezel. (With Webcam Port). HAS thewebcam hole. SKU: BSHELF. Part number: 7NNP1. Compatible with: Dell Vostro 15 (3558) and Inspiron 15 (5558). Hinges ARE included. This is an original Dell genuine part. LCD cables ARE included. You must match the part number as there are different types of screens for these models. Lot of 10 NEW Genuine Dell Latitude E6400 LCD Back Cover W/ Hinges R150P K802R --- Payment: · We accept DEBIT, CREDIT, & PAYPAL ---Shipping: · Free shipping · We ship it out 1-2 days after your payment have been completed ---Return Policy: · Please contact us for return items · 30 days warranty · Exchange on certain items Location :KHO ---A15K03 Store: · If you have any problems, don’t hesitate to contact us. We will reply to you within 24 hours. · We maintain a high standard of excellence & strive for 100% customer satisfaction. PLEASE contact us before giving your feedback! This way we can satisfy your concern~! · T H A N K Y O U ! [View more great items] (https://www.ebay.com/sch/quality.parts93/m.html).